Let me restrict myself to sharing with you my views on the debt management processes as enshrined in both the VAT and Income Tax laws. Firstly, the starting point is when the debt that ZRA is claiming is in dispute, meaning that you have doubts or queries, or other information that leads you to believe that the figures you have been presented with are incorrect or inaccurate you have the right to appeal through a multi-staged appeal process, to the regional director, then the commissioner and finally the Commissioner-General. If still unsatisfied you can appeal to the Revenue Appeals Tribunal which is an independent organ. The Post did not dispute the debt and by-passed all these reconciliatory channels but opted to go straight to the High Court for an injunction which indeed, should have served as an alternative time in which they could have paid the debt. It is, however, close to nine months since that restraining order was granted by the High Court. 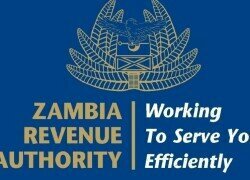 This is a leniency which many poor Zambians and businesses don’t ever get to have. Secondly, the Supreme Court ruled that The Post had never disputed the debt. So collection of dues cannot be enforced or stopped by the courts. If this doesn’t amount to independence, I will await another generational judiciary to come and rule otherwise. Thirdly, the maximum (average) period for Time to Pay Agreement (TPA) is 3 months. This is in sharp contrast to the more than 12 months accorded to The Post. Finally, the Post is a business like any other which should not use their political editorial policies as a scapegoat for their non-tax compliance. After they exhausted their legal journey, they could have approached ZRA with their proposal to liquidate the debt but have in the alternate been seeking duplicity legal redress. This is a blatant abuse of the judicial system especially that the debt is not in dispute. This debt is enforceable by law regardless of which political party is in power. Sometimes it pays to simplify things. I hope this explanation can help clear some misunderstandings and innuendos suggesting that there is bad faith in the way the matter of The Post debt to ZRA has been handled.